Here is some exciting news for singles interested in trying out an online dating site to find a partner. To celebrate Saint Valentine's Day which is right around the corner, Lavalife will be giving a 30 day free trial to any new user who signs up within the month of February. This free trial gives you unlimited access to Lavalife and all the features they offer, and all without a credit card. This includes sending and receiving unlimited emails and instant message plus you can find out who has viewed your profile. This 30 day free trial is the same as purchasing a one month membership from them. February is the busiest month in the year for dating sites. When you have a professional high quality dating site like Lavalife giving away 30 day memberships to new users you can expect this service to be VERY BUSY. If you are single, this is one service I would definitely try out. There are several things that makes Lavalife stand out among the other dating services. One of the main things is they offer 3 dating communities within the site. So if you are searching for a simple date, long term relationship, or an intimate encounter you can join 1 or more of these communities in Lavalife and find singles looking for the same type of relationships. To find out more about this online dating site, check out our Lavalife review. Planning the perfect first date is hard. It's nearly impossible to choose the right place, the right time, the right ambiance...unless you're a current Match.com member, that is. Thanks to a new feature recently launched by the site, the perfect first date is only a few clicks away. Match.com's DateSpark is an innovative approach to finding love online that takes the emphasis away from reading countless trite profiles and sending oodles of dead-end messages by helping users actually meet people with compatible interests in real life. "DateSpark is a fun new way to meet people on Match.com. You suggest an interesting date idea, post it on your profile, and see what it sparks. If you see a DateSpark idea on another member's profile, you can tell them what you think. It's a great conversation starter with the added bonus of a natural first date, already planned!" To suggest a date, click on the "DateSpark" link under Profile in the top navigation bar. Write a short description of your idea, select the appropriate options from three dropdown menus ("Type of date?" "When is it?" "What time of day?") and hit "Post this date." Once it's approved, your DateSpark idea will be added to your profile and other Match users can respond if it sparks their interest. Match.com wisely recommends being original, as creativity will draw more attention to your DateSpark proposal, and protecting your safety by keeping some information, like an exact location, date, and time, and personal details, private. What I love most about this feature is that it reminds users that the reason they're on an online dating site in the first place is to go on dates. Instead of relying on the algorithms of the site to find members it thinks will be good matches, and hoping that love comes along, DateSpark allows users to personalize their search and encourages them to be proactive in the pursuit of potential partners. DateSpark focuses on the activity, rather than an often-uninformative profile, and gives Match members the encouragement they need to take their dating offline. It's too soon to tell whether or not DateSpark will be a hit (it currently is available in only certain areas), but I'm excited to see how Match.com's newest development evolves. 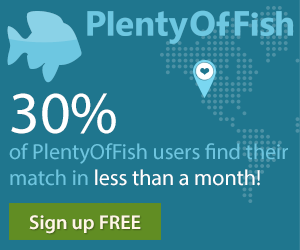 To find out more about this online dating site, check out our review of Match.com. eHarmony's Free Guided Communication Event begins at 12:01AM on Friday, January 28th 2011 and ends at 11:59PM on Monday, February 28th 2011 (US only). This is the first time ever that eHarmony.com is having a free communication event that is a whole month long. Best yet, it is happening at the busiest time of year for online dating sites, during the month of February and Valentine’s Day. This ensures that many singles will be taking advantage of this promotion. During this event no credit card is required to create a profile, receive matches and to use the guided communication process. This communication process has 3 stages that help you and your match to get to know each other better. eHarmony Mail, viewing of members profile pictures and Fasttracking the communication process are not included in this promotion. This free guided communication event will be eHarmony's 33rd with the last one occurring at the end of December (see Story). Update #1: eHarmony.co.uk is also having a free communication event. It ends on February 15th, 2011. For more information on this online matchmaking service, you can read our eHarmony review. We closed the 2010 Dating Sites Reviews Single's Choice Award poll earlier this month with a total of 798 votes from visitors. The poll really was popular this year and it received over 10 percent more votes than last year while being available only for 3 months when compared to 5 months in 2009. I had hoped to start the poll in August or September but it wasn't online until October. Next year the plan is to have all the awards finished up by the end of December instead of running into the new year like we have always done. It's interesting to see how the results vary from year to year in the Single's Choice award as the dating sites compete to be number one with singles. This award is sort of like the "Best Director" award at the Oscars, it is the most important. The reason the Single's Choice award stands out is it is decided by the public with votes, and not us. With our Editor's Top Pick awards we try to make an unbiased selection but, when you talk dating sites everyday sometimes the decision may not be as clear as we would like. For 2010 we listed the top ten dating sites for you to vote on. The three dating sites which received the most votes will get an award, Gold for first, Silver for second and Bronze for third. The recipient of the Gold 2010 Single's Choice Award is Match.com. Not surprising, this is the fourth year in a row that this dating site has won the Gold Single's Choice Award. Match.com continues to lead in the dating industry and this year they received over 37 percent of the votes. This is a huge eight percent increase over last year which shows Match.com is gaining in popularity and continues to be the one to beat. Match.com was also the winner of the Editor's Top Pick - Overall award as well. The recipient of the Silver 2010 Single's Choice Award is eHarmony. This is eHarmony's third year to win this award and their popularity remains about the same at 20 percent of total votes. eHarmony is designed for singles with long term relationships in mind so it is not for everyone. With them winning Silver it shows just how popular and effective they are especially since they do all of the matching for you. The recipient of the Bronze 2010 Single's Choice Award is Zoosk. Zoosk is a relatively new dating service and it is the first time they have appeared in the DSR Choice awards. This is a great accomplishment for them to receive an award this year let alone a Single's Choice award which is decided by votes. Zoosk received 94 votes which is almost 12 percent of the total vote. Once again, we would like to give a big THANKS to everyone who cast a vote this year in the Single's Choice Award. This weekend all Chemistry users will be able to communicate for free. This promotion starts first thing, Friday January 7, and runs Saturday, and all day Sunday January 9. Free communication means that any member of Chemistry can send and receive email from any other Chemistry member. This is at no cost and with no credit card required. This is a busy time of year for online dating which means it is an excellent time to try out Chemistry to see if it is the right dating site for you. Chemistry's in-depth profile and matchmaking system make it ideal for singles looking for a long-term relationship and marriage. The last free communication weekend was held in November (see Story). This upcoming one will be Chemistry.com's 12th they have run. For more information on this online dating site that matches you with members based on personality, you can read our review of Chemistry.